Google Adsense is the most used monetization ad network. Blogger and website owners use Google Adsense to earn a good income. To get better income from Adsense, we need to optimize Google adsense according to our blog’s design. Adsense ad placement is also an important factor that plays important role in earning. Sometimes, placing Adsense Ads in WordPress can be difficult that it seems. To make this work easier, I am releasing a WordPress plugin called Easy Adsense Injection. This plugin allows users to inject Google Adsense code any where in the code and any where in the theme. It has built-in support for shortcodes and functions to show ads inside post and themes. After installation of plugin, it adds a settings page in WordPress. You can access the page from Settings ->Easy Adsense Injection. Here you will find a clean interface with big text boxes. Ad your adsense codes in the boxes. You can add up to 5. If you need more, you can contact me. Every code has a specific short code or PHP function. 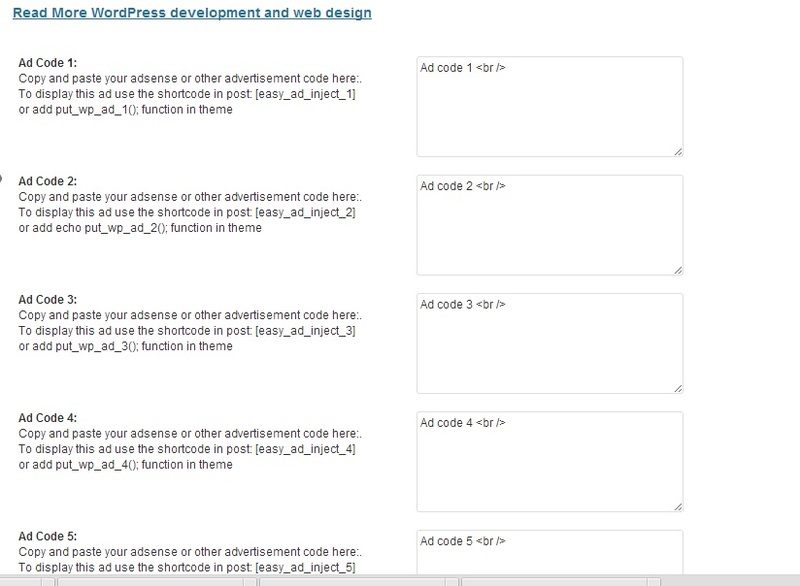 For example ad code in box 1 will have shortcode [easy_ad_inject_1] and PHP function put_wp_ad_1(); . This is the first version of the plugin. I will try to update this Adsense WordPress plugin to add more features. In case of any kind of problem, report to me.